Evolve – Blind Squirrel Entertainment, Inc. 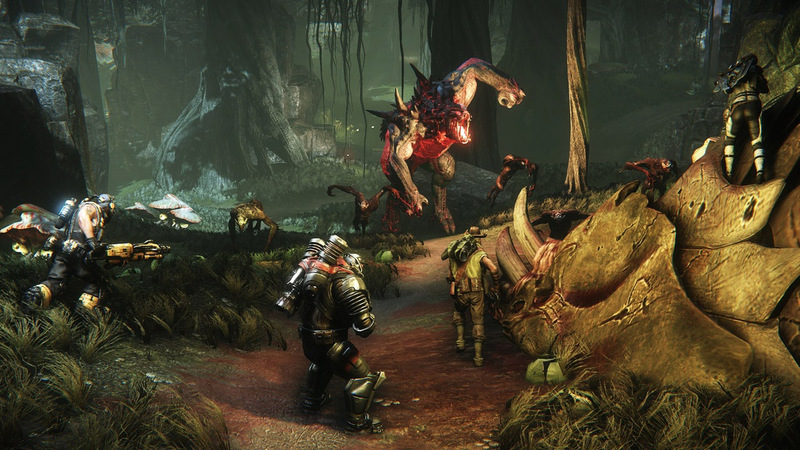 Blind Squirrel worked with Turtle Rock Studios on the monstrously fun new title EVOLVE released on consoles and PC. Engineering services rendered include Implementation of AI Support, Multiplayer/Networking, UI Engineering, Console Specific Achievement System, and Rendering Support and Optimization. Art services rendered include Level Lighting, 3D Modelling, UI (Scaleform art and implementation), VFX, Skies and Matte Paintings, Animation, Face FX and Character Rigging, and Concept Art. Additional services include Console Compliance Review and Implementation, and General Bug fixing. For more info on EVOLVE, please visit the official EVOLVE website. 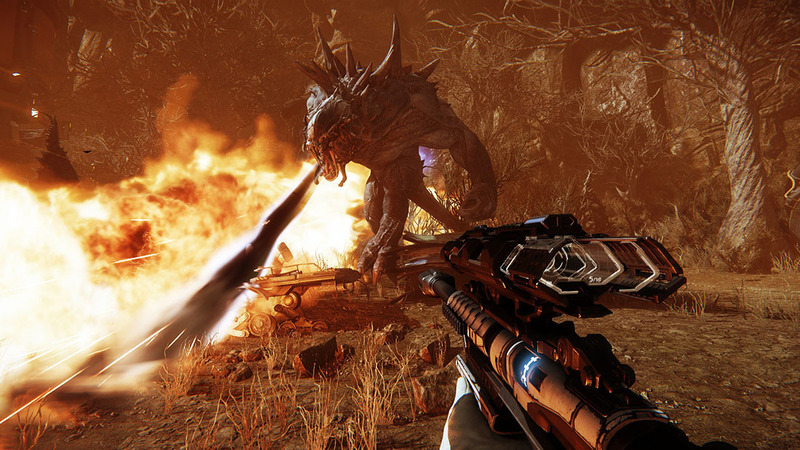 Evolve is a true next generation multiplayer shooter featuring addictive, adrenaline-pumping 4v1 action. 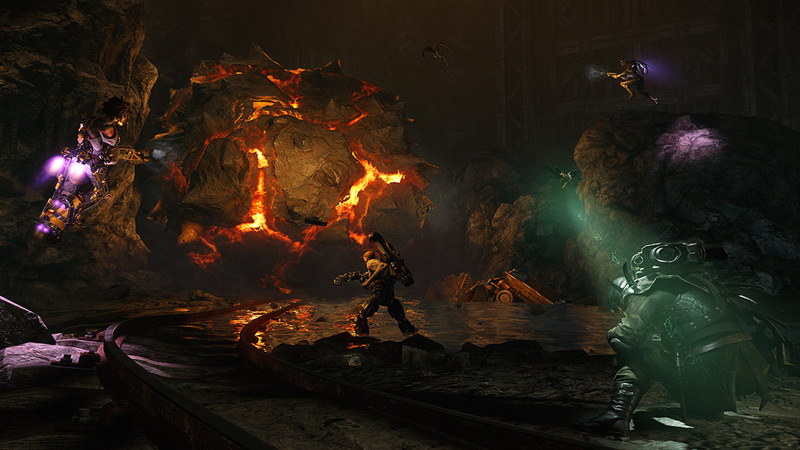 One player-controlled monster must evade and outsmart a team of four uniquely skilled playable hunters. Evolve and overpower as the monster or team up and out number as the hunters. 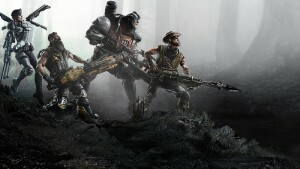 With endless combinations of hunters, monsters, maps and game modes to choose from, no two hunts will ever be the same. It’s survival of the fittest and any side can win.